They’ll take on Uzi and RNG next. Eighth-seeded JD Gaming toppled LPL veterans Team WE 3-1 today in a major upset to move on to the next round of the region’s playoffs. 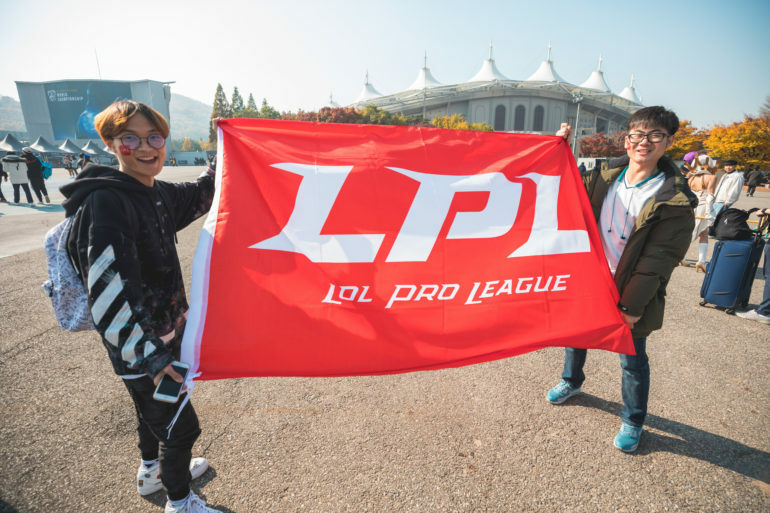 Coming into the playoffs, Team WE were riding a wave of momentum since they won seven of their last eight series in the LPL, only losing to reigning world champions, Invictus Gaming. They came into this matchup looking like the favorites by a mile with their six-game win streak and because their opponents had a less-than-stellar end to the Spring Split. Not only had JD Gaming lost their last three series, but their final regular season matchup against Team WE was nothing less than a disaster—they lost 2-0 in less than 45 minutes and were sent back to the drawing board before playoffs with their tails tucked between their legs. JD lost their star jungler, Kim “Clid” Tae-min, during the offseason to three-time world champions SK Telecom T1 in the LCK. But the team tried to fill the breach by bringing in Gu “imp” Seung-bin, who was a part of the 2014 world champion Samsung White team and, until the start of this year, was a substitute ADC for Team WE. With the onus on Team WE to perform, they came into game one with a strong composition centered around Su “xiye” Han-Wei’s Lissandra and Jin “Mystic’” Seong-jun’s Vayne, hoping to scale as fast as possible to quickly blow up imp on Kai’Sa. JD, however, picked up Galio, Kennen, and Rakan for some explosive engage potential onto WE’s priority targets. The first game was a statement of intent from the underdogs as they bowled Team WE off their feet with an aggressive style that the fifth seed couldn’t match. First blood went to JD after Mystic died in a simple level one two-vs-two fight—and from then on, it was all JD. The Nexus exploded after 29 minutes of continuous aggression where Team WE were unable to even score a kill—but a perfect game was averted by WE having a few Drakes and turrets to their name. Imp decided not to fix what wasn’t broken, and Kai’Sa reappeared after his phenomenal 93.75-percent kill participation in the first game. WE brought splitpushing to the table by giving Kim “Poss” Min-cheol Yorick, and it seemed like game two would be the polar opposite of the first game as Poss solo-killed Zhang “Zoom” Xing-Ran—and the next eight kills and three turrets went unanswered by JD. The underdogs tried to fight back and some scrappy fights yielded kills, but WE were too far ahead and the teams went to game three with the bitter taste of their own medicine still in JD’s mouths. The teams swapped ADC picks as imp took Vayne while Mystic grabbed Kai’Sa. It’s more interesting, however, that in an echo of the legendary final game of MSI 2015, Zeng “Yagao” Qi locked in LeBlanc and xiye countered with Morgana, hearkening back to when Faker’s undefeated LeBlanc was systematically destroyed by Edward Gaming. JD Gaming picked up the early lead thanks to a level-two gank from Sung “Flawless” Yeon-jun and maintained a turret and gold advantage even as WE slowly crept ahead in kill score. A 7,000 gold lead and a 10-2 turret lead at 35 minutes was too much to surmount for WE with a fed Vayne thrown into the mix, even after a valiant base defense. JD wasted no time in regrouping and blowing up the Nexus to move to match point and put a historic upset on the cards. The final game of the series was the closest as Team WE fought tooth and nail in an attempt to avert relinquishing the spot in the next round. But JD could see the match next week against RNG right in front of them and fought even harder. With Zoom picking up Gnar for the first time this split, he contributed massively to teamfights and, alongside Zuo “LvMao’” Ming-Hao’s Fiddlesticks, helped set up a pick that led to Baron and then the game—and the series to complete one of the biggest upsets in LPL playoff history. With this victory, JD Gaming advance to the quarterfinals where they’ll play against legendary ADC Jian “Uzi” Zi-Hao and Royal Never Give Up next week. On the other side of the bracket, LPL stalwarts Edward Gaming take on SinoDragon Gaming tomorrow for the right to play Topsports Gaming in the quarterfinals.